Committed to creating innovative, disruptive medical devices and technologies that improve treatment therapies and patient outcomes. International Biophysics Corporation has developed and manufactured heart pumps, suction wands, surgical tubing organizers or sophisticated products such as portable oxygen concentrators, erbium lasers, audiometer machines and ozone generators on space shuttles. These on-shore, made in America products are marketed and sold around the globe. The AffloVest is the latest advancement in airway clearance therapy to be introduced into the market by International Biophysics. 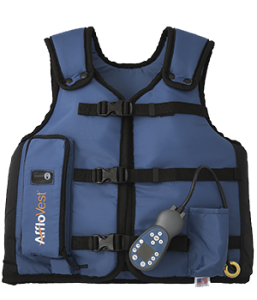 The AffloVest is the first truly portable, battery operated, fully mobile during use, High Frequency Chest Wall Oscillation (HFCWO) vest. International Biophysics Corporation has developed and manufactured cardiovascular heart pumps, bio sensors, surgical instruments, medical laser systems and portable oxygen concentrators, just to name a few. These on-shore, Made in America products are marketed and sold around the globe. 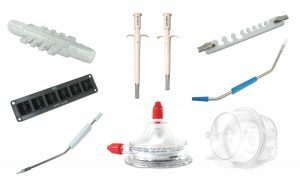 Whether molding a component or producing simple surgical tubing organizers and vessel loops or sophisticated products such as erbium lasers, portable oxygen concentrators, heart pumps, and audiometer machines; we can meet all your requirements. International Biophysics discovers, makes and delivers science inspired medical innovation, creating custom pathways to success in multiple markets, spanning direct-from-manufacturer sales to product line and company spin-off acquisitions. The AffloVest is the first truly portable, battery operated, fully mobile during use, High Frequency Chest Wall Oscillation (HFCWO) vest that promotes airway clearance and lung secretion mobilization prescribed in the treatment of respiratory diseases like Bronchiectasis, Cystic Fibrosis, MS, ALS, and other neuromuscular diseases. International Biophysics brings to market innovative, disruptive medical devices and technologies that improve treatment therapies and patient outcomes. Centered on a precision ISO 13485 certified, FDA registered, quality controlled, manufacturing facility in Austin, Texas.